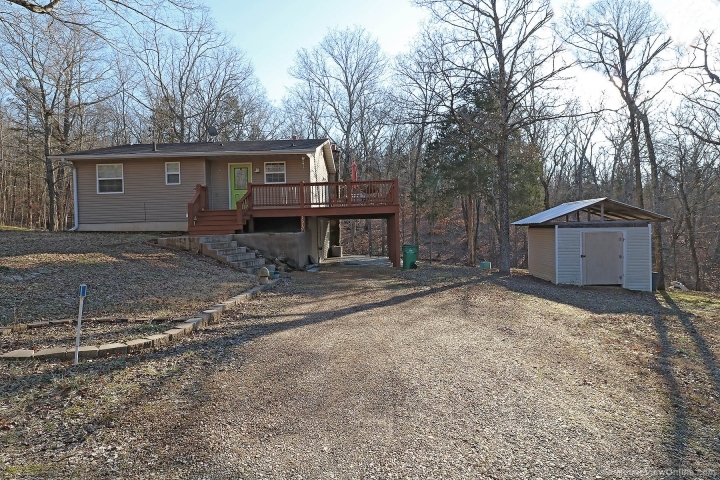 Great deal on a cute 3 bedroom/2 bathroom ranch home on 2 lots in quiet cul-de-sac, walking distance to Lac Marseilles. Home was updated in last 10 years and has an open plan living/dining/kitchen with laminate floors. Four seasons room has wood-burning stove. Sliding doors from kitchen lead to large, private deck. Two bedrooms and one full bath on main level, with master suite in finished, walk-out basement. Lower level also has family/rec room with tile floor that walks out to covered patio with outdoor fireplace. Laundry room also in lower level. Single car carport, and 10x12 shed for extra storage. Small wet-weather creek in back yard.